Q has spoken. Don’t fret over what the MSM is reporting. We should know better! When even @FoxNews is telling us the majority of Americans don’t want Kavanaugh confirmed, you know they are lying. #Grassley has been courteously offering the #Kavanaugh accuser one extension after another in an effort to gain a commitment regarding her testimony. Looks like he is being far too generous. Word is they have something on her which will be dropped, if & when she appears. Horowitz, tasked to expedite DECLASS of FISA docs, may have recco’d [RR] resign due to his role as FISA signer (all under grand jury investigation). Rachel Brand (#3 after RR), FIRED. Official story: took job as Walmart Exec VP Global Governance. Did she played role in FISA coup? #Repost of #QResearch version of 1433. Since the #OIGREport from #IGHorowitz was released, it has been evident that #Rosenstein has numerous #ConflictsOfInterest as regards the investigations he oversees. During his #RachaelBrand was the associate attorney general & 3rd in the #DOJ. She would step into #Rosenstein’s place if he rescued or resigned. Aside from her lacking experience in prosecutions, she would very likely testimony he was asked if he should not recuse himself & the question has remained essentially unanswered since that time. Logically, his conflicts should at least have him recusing, if not resigning. #RachaelBrand was the associate attorney general & 3rd in the #DOJ. She would step into #Rosenstein’s place if he rescued or resigned. Aside from her lacking experience in prosecutions, she would very likely not move to fire #Mueller should it come to her to do so. It is highly unusual for an #ExPresident to campaign in the manor in which #Hussein is attempting with the assist from #MichellelObama. This was a early effort to stem the coming, now here, #Panic in #DC & throughout the #Corrupt movement. We know the #D5 notation is a reference to the unstoppable avalanche of information which is the undeniable proof positive. 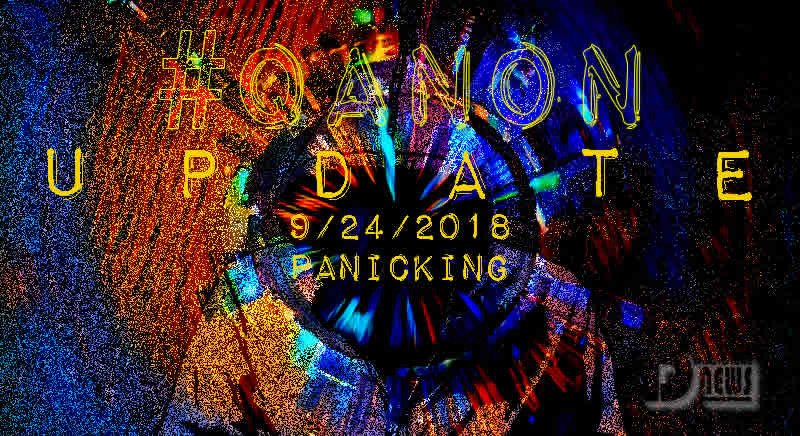 This entry was posted in Uncategorized and tagged Disclosure News Itailia, love, QAnon, Sept. 25. Bookmark the permalink.